CBCT analysis reveals that there is an abnormal segment of the inferior alveolar nerve (IAN), slightly mesial to the site of #18. 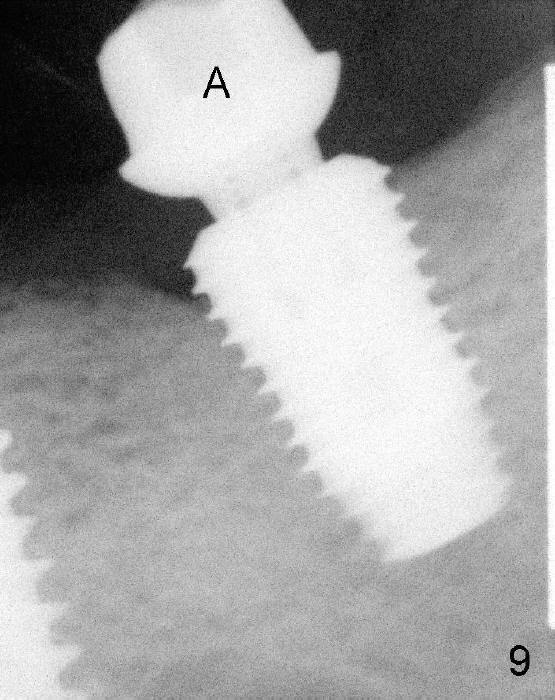 Intraop positional PA (Fig.1) shows that it is predictably safe to place 6.3x8 mm implant with the apical diameter (4.3 mm < 2.46 mmx2). Red dashed line indicates the abnormal segment of the IAN (pink line: normal segment). There is also some distance to IAN when 6x11 mm tap is inserted at the depth of 8 mm (Fig.2). 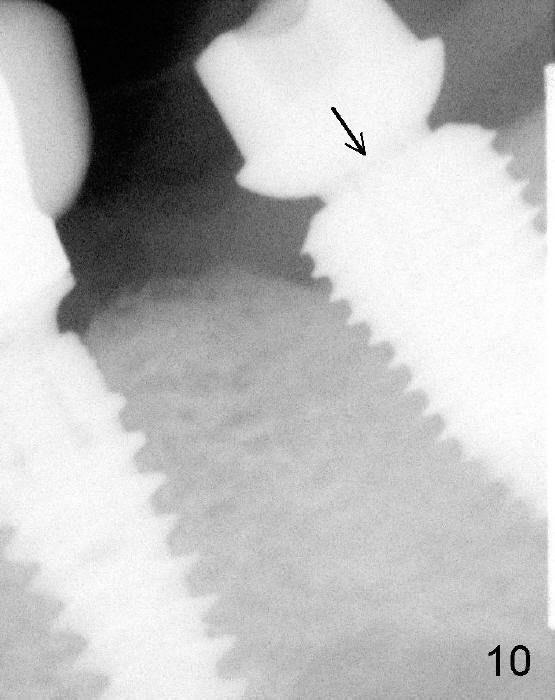 Finally a 6.3x10 mm extra wide implant (Brushite) is placed with 3.88 mm from IAN (Fig.3). 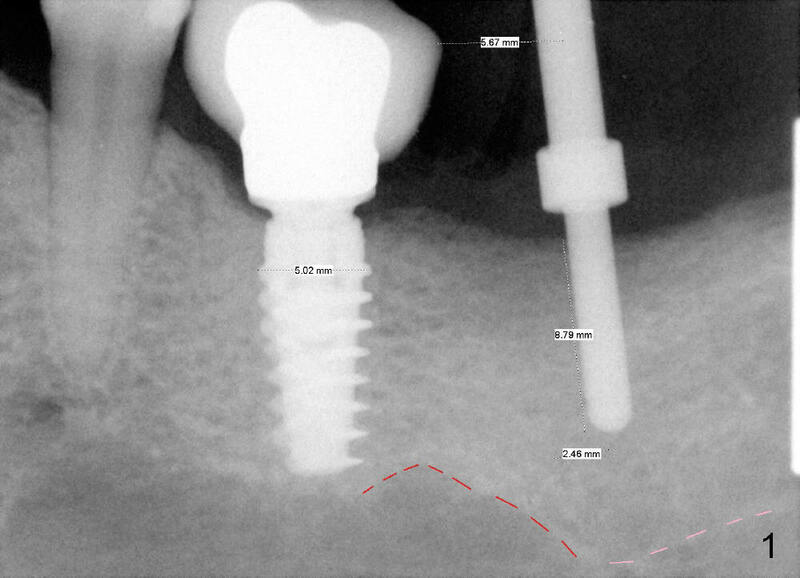 Approximately 1 mm coronal portion of the implant is exposed buccally and lingually. The exposed portion is covered by autogenous graft harvested during osteotomy and collagen membrane. 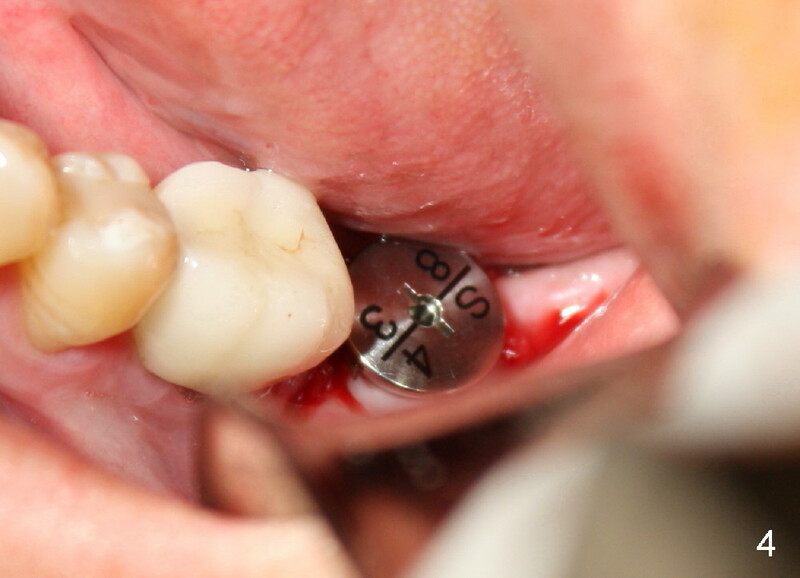 The membrane is fixated between the implant and healing abutment (8.2(4(3)) (Fig.4). 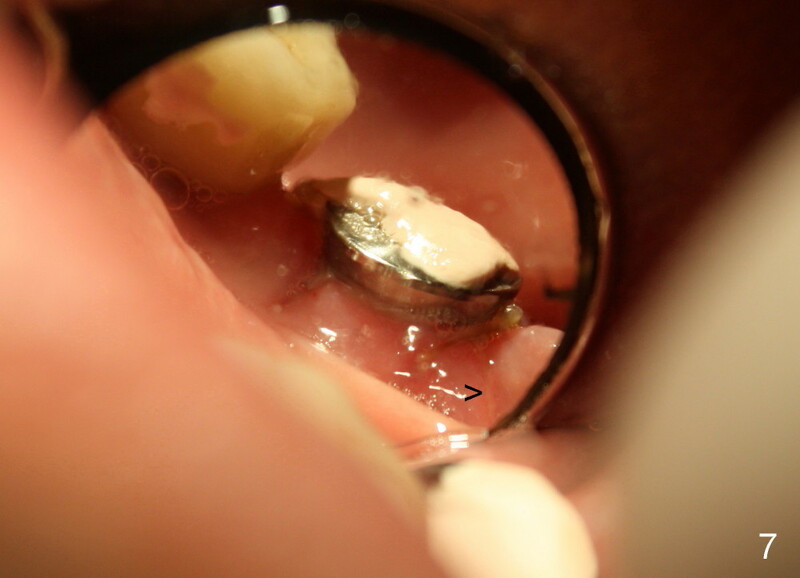 There are two unexpected advantages associated with using the healing abutment. 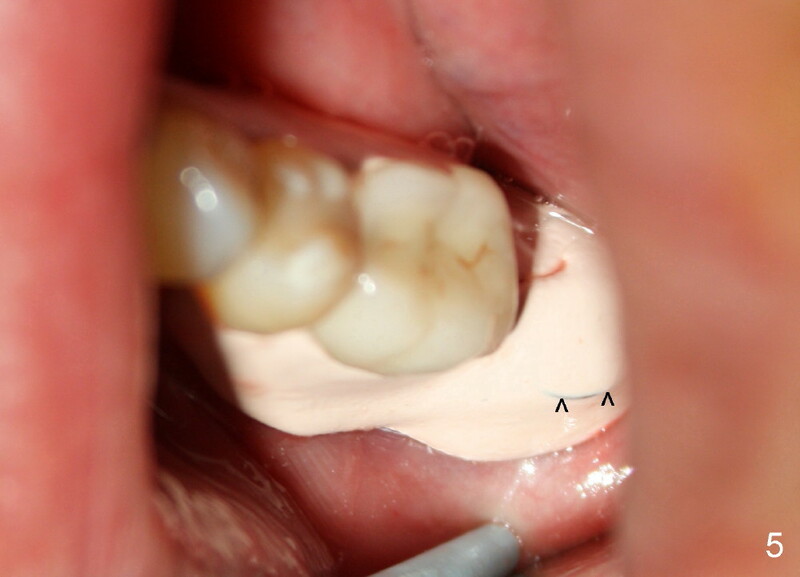 The first is that the abutment reduces tension in suturing. 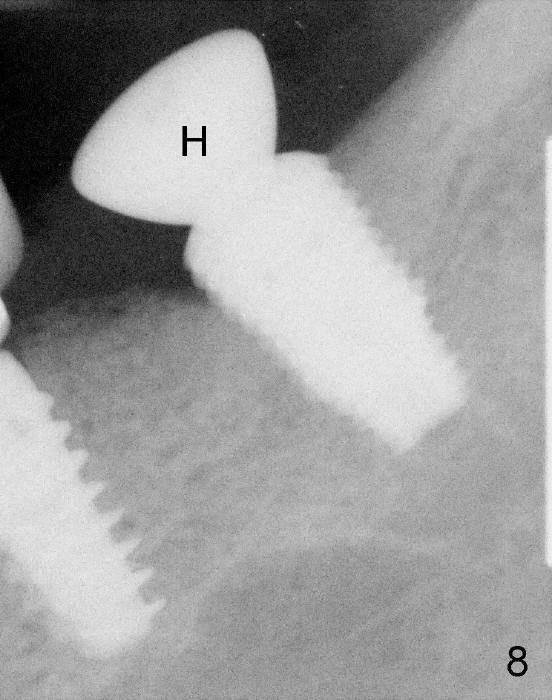 The second is that perio dressing can be tucked underneath the hemisphere of the the large (8.2 mm) and tall (4 mm) abutment (Fig.5 ^). The dressing is more secure. It should not be dislodged in a week postop. In fact, the perio dressing is dislodged by 8 days postop. The wound is healing (Fig. 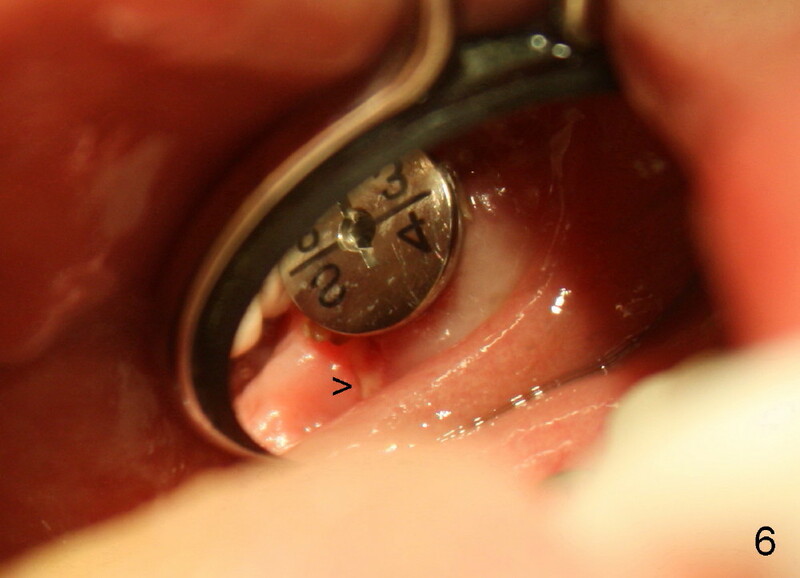 6 (buccal), 7 (lingual) mirror views), arrowheads point to the distobuccal and distolingual incisions, respectively. 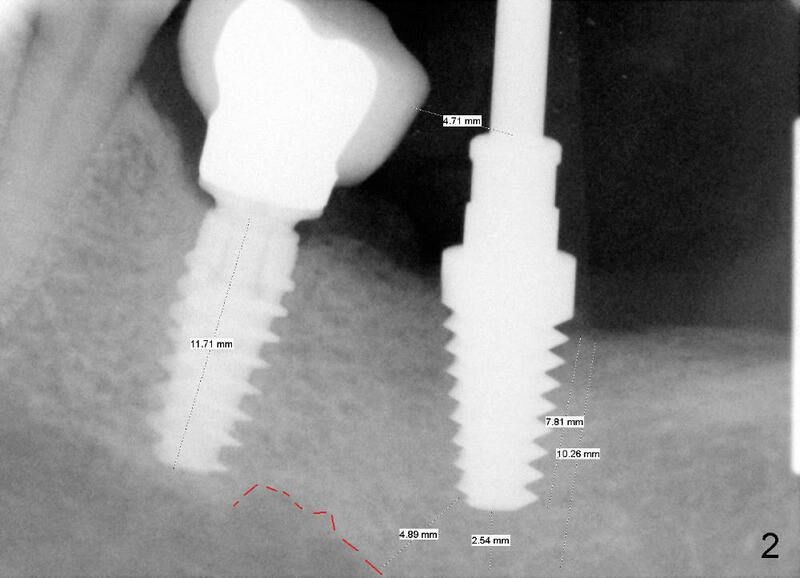 The patient returns for follow up 5 months postop (Fig.8) and abutment insertion 7 months postop (Fig.9,10). 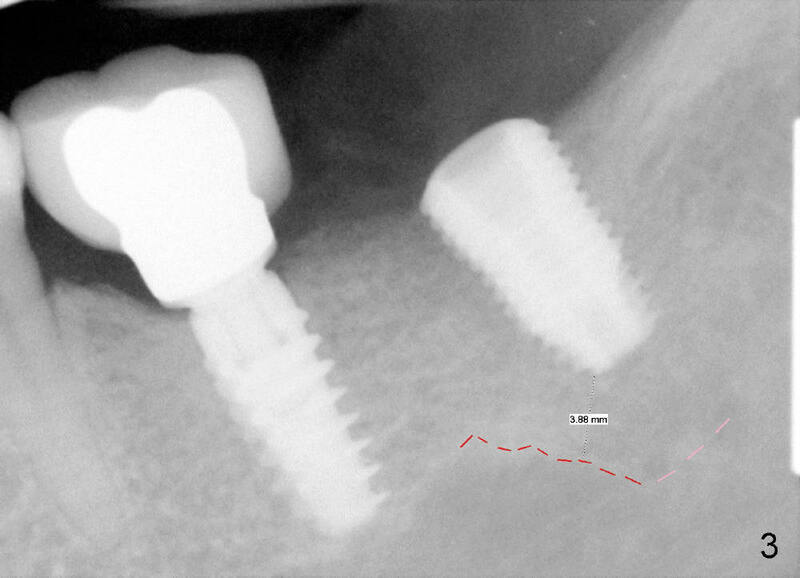 Extra wide implant is indicated for limited bone height.